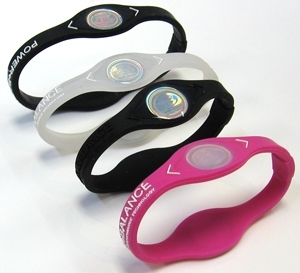 PowerBalance is a scam or a self-confidence placebo? My friend tweeted me today about Gizmodo’s frontpage which is covering the confession of PowerBalance that they are actually a scam. First time I heard about PowerBalance was when my wife showing me an advert, and said that our nephew is wearing it. She went on and tell me how our nephew loves to play basketball and claiming that he had some sort of improvements after wearing PowerBalance. I was skeptical as I can’t explain how the hell a wristband can improve on how you jump, how you calibrating your power and correctly aiming as you leap and make that three-point-shot. I immediately dismissed it and closed the discussion by changing it to other topic :). When I read the Gizmodo article today, I realized something. It’s the placebo effect. The placebo effect is a phenomenon whereby a patient was able to recover/improv eventhough he/she was given a sham prescription. The wikipedia article explains further that placebo only works to some people. The problem with a placebo is that it will stop working once the patient realized that it is a placebo, not a real medicine. Now that they have openly declare that it is a ‘placebo’, will you still wear it? A very very very inspiring essay from E.S. Ito to Indonesian Football Team. I felt my chest heavy when I read it. Unfortunately until now I haven’t heard from them. I was going to call them, but Google couldn’t give me the hotline number. So I called Huawei Singapore HQ and asked for the Service Center Hotline number. So here they are, I put the info under a H1 HTML tag so that Google will notice it, and able to give this number to anyone who’s looking for it.